So…what I learned about this book…is that it is related to the book posted below it. Russell and Corrine were the main characters in Brightness Falls but in this new book they are older and perhaps not quite as comfortable as they used to be…life is taking its toll in NYC. 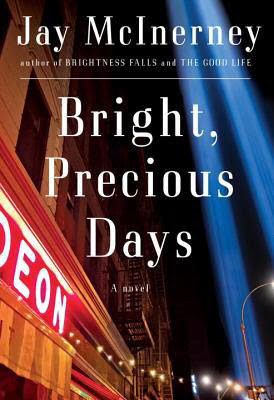 The book is good but I wish I had read Brightness Falls. We have severe storm warnings posted for today from noon until six…hail, wind and lightning so I am sure we won’t have power! The girls and I are trying to charge every toy we own! Hmm, I'll have to look into Brightness Falls. We had some bad storms here last night but surprisingly, the power stayed on. Stay safe this afternoon! Stay safe from the storms! Another reviewer mentioned the connection….but…I don't think I ever read it. Thanks! I will try! Stay safe…and enjoy your new book. 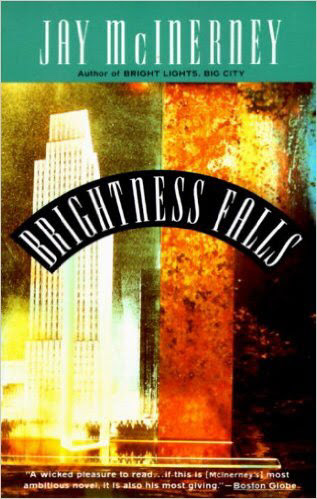 I read a book by this author called Bright Lights, Big City. It was good. Glad you're charging your toys! Oh boy, stay safe and warm inside during that storm. Storm, come to California! We're having heat waves! It's 92° outside. Hope the storms aren't too bad! We never even had them! This is definitely outside my typical reading genres, but you've got my interest. I have been going in some different directions, hoping to get some reviews in, too. I really have not done many in awhile. I think not feeling great every day is doing it to me, too!